Since 2012, the Arbovirus and Emerging Viral Diseases Labory developed combined field studies to improve knowledge of viral vector-borne diseases in the Lao PDR. Over the last three years, the team was organized around specific projects to help the young Lao scientists and technicians to acquire skills in virology with strong practical applications. In order to expand the capacities of the unit and reinforce the positioning of the laboratory in the public health arena, a new strategy has been developed. The team has now been restructured into three groups that, between them, encompass the different laboratories’ areas of responsibility. 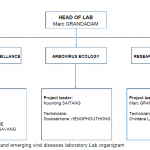 Progress in arbovirus surveillance and staff changes afforded opportunities to reorganize the team. 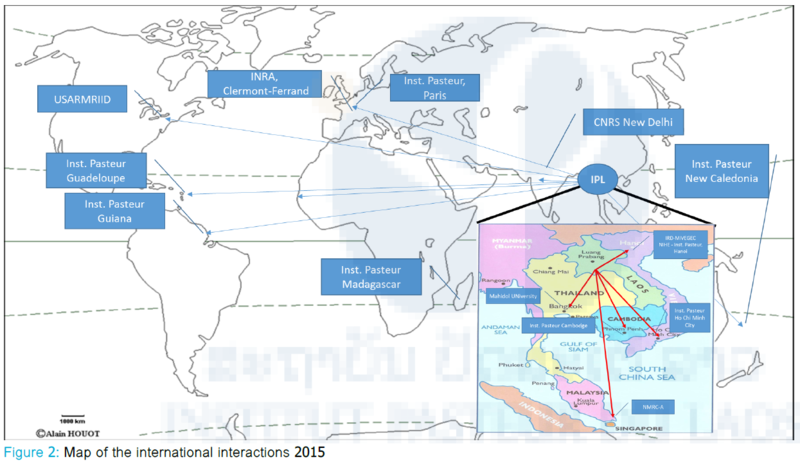 A major part of the group is now dedicated to the global surveillance of arboviruses, providing (i) assistance to Vientiane and provincial hospitals for the confirmation of arboviral infections, (ii) updated information and alerts to national and international health authorities, and (iii) training for medical staff in hospitals. A second group focuses its activities on arbovirus ecology. 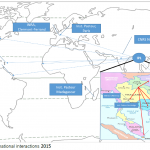 Interactions with entomologists and vertebrate experts were reinforced in order to diversify the fields of investigation to study arbovirus cycles and maintenance in wild environments. 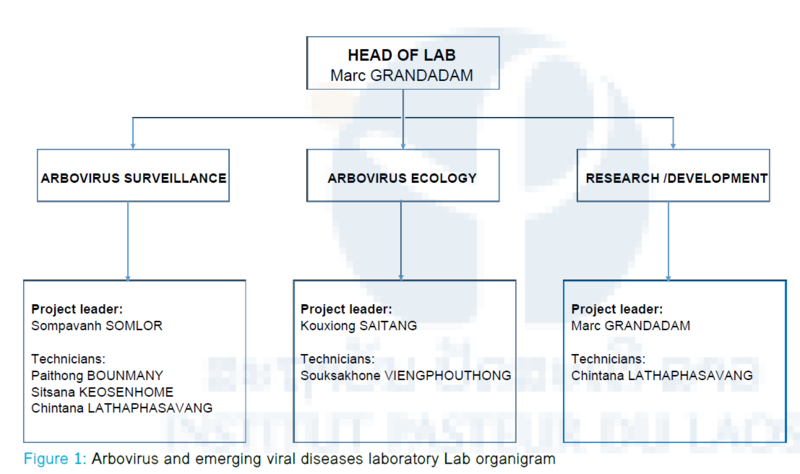 A third group is in charge of conducting research on more fundamental aspects of virus–host interactions and to develop new detection or diagnosis tests.